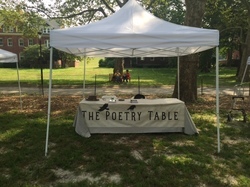 We are a community of poets who gather weekly to share old poems, write new ones and break bread together. Join us in New York City or create your own local chapter. Poetry is a life-cherishing force. For poems are not words, after all, but fires for the cold, ropes let down to the lots, something as necessary as bread in the pockets of the hungry.